Take another look inside your Babyology Baby Shower gift bag – and don’t miss out on all the goodies! We’re still on a high from some of the most amazing Babyology Baby Showers we’ve ever hosted this past weekend in Sydney. We loved playing host to you, your family and friends, and sharing in your new baby excitement. We also loved showering all of our guests with prizes, and our famous Babyology Baby Shower gift bags. Stay close with your little one no matter where you are in your home with the VTech BM 4500 OWL. Providing peace of mind, anywhere, any time, this very clever, very sweet baby monitor has his eyes on bub at all times. 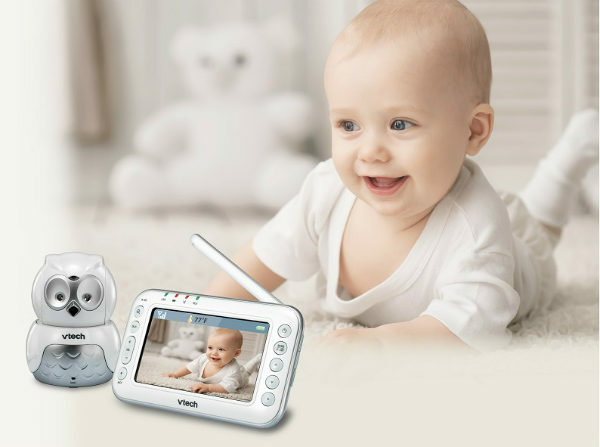 You can Pan & Tilt remotely with parent unit to get the best view of your baby and the 4.3″ colour LCD screen, the definition is so clear that it’s almost as though you are in the room with your bub. Ergobaby is Babyology Baby Shower royalty, and they are bestowing a sparkling special on guests! You can save 25 per cent off the Ergobaby Newborn Essentials Bundle – your choice of Carrier, Swaddler and Nursing Pillow. Don’t need the complete package? 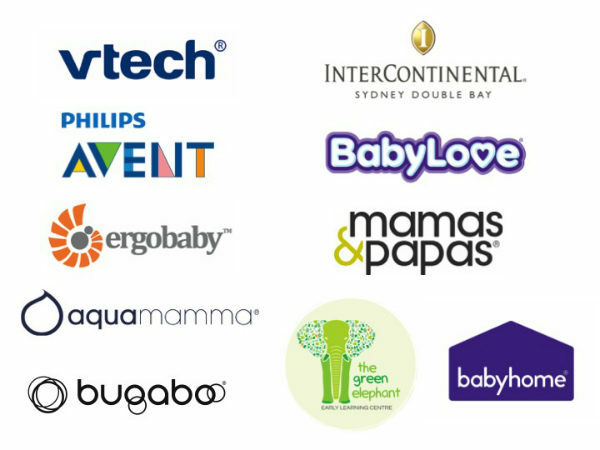 Your gift bag voucher saves you 20 per cent off any product from the Ergobaby Range. Mamas & Papas have beautiful gifts like soft toys, blankets and even rocking horses! Why not get your Christmas shopping out of the way early with the voucher from your gift bag? You’ll get a 15 per cent discount on the full Mamas & Papas range, using the voucher code T7MNCX (ends 1/12/16). You would have seen the beautiful Bugaboo Bee³ prize on Sunday and one thing we know for sure, Bugaboo make choosing the right pram for you easy. A design company at heart, Bugaboo believe in smart innovative design, extraordinary value and a smooth ride, so let the adventure begin! Have you tried out your ultra-soft new nappy from BabyLove? Your precious new bundle will have the ultimate welcome to the world with BabyLove Cosifit, the only nappies in Australia designed to help prevent red marks on delicate skin. BabyLove have given us two samples – in newborn and infant sizes – to put to the test. The Babyology Baby Shower gift bag certainly is the gift that keeps on giving – what did you think of the breast pads from Philips Avent? Make sure you add them to your hospital bag, and take a browse at Philips Avent to see the entire range of products for all of your breastfeeding and bottle feeding needs. The Green Elephant Early Learning Centre has tucked a cute bib and singlet into the gift bag. These beautiful learning centres create an environment where children can build skyscrapers and bridges, rockets and friendships, confidence and creativity. It’s a place that’s inspiring young minds and where children will discover who they want to be. 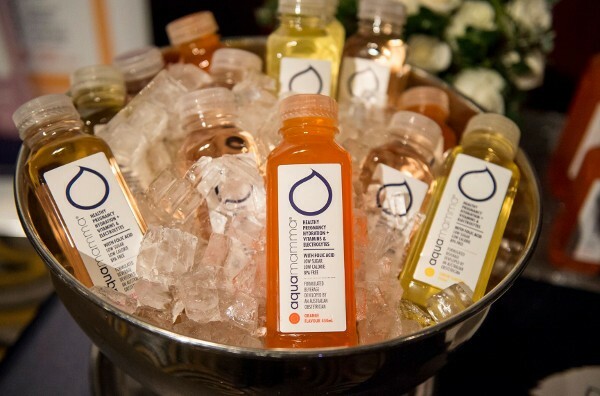 How delicious are those aquamamma samples tucked in your gift bag? If you haven’t yet had the chance to wrap your lips around a bottle of this refreshing beverage, developed by an Australian obstetrician to help meet the hydration needs of pregnant and breastfeeding women, what are you waiting for?! Babyhome provides high-quality baby products that both you and your baby will love. They design functional and clever products to make sure your baby is comfortable – helping create a more practical and easy life for mums and dads. They are offering 20 per cent of their range plus free shipping; just use the coupon code hightea20. Make sure you snap up your exclusive offers before time runs out, and thanks again for taking part in another incredible Babyology event!